The National Association Of Women Artists, Inc. Florida Chapter (NAWA) is presenting a multi-media exhibition titled “Down the Rabbit Hole,” which will be hosted by the Armory Art Center Annex in Lake Worth. The public is invited to the Opening Reception on March 3rd. Everyone is invited to view and purchase the art, as well as enjoy drinks, refreshments, and live music by Sunnyside Swing at this Free event. There will also be an Artist Talk on Saturday, March 25th, In addition to the Juried art, which will be on view through March 26, 2017, a section of the gallery will be exhibiting works by three students in the Dreyfoos School of the Arts who were the recipients of NAWA Florida Chapter Art Scholarships. The Rickie Report shares the details and some sneak peeks. 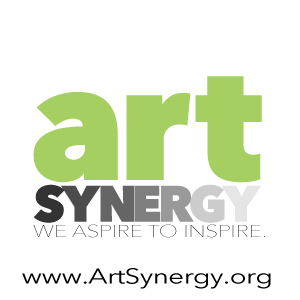 The National Association of Women Artists, Inc. The public is invited to the Opening Reception on March 3rd, 6 – 8 PM, at which time First, Second, Third Place, and Judge’s Recognition awards will be announced. Everyone is invited to view and purchase the art, as well as enjoy drinks, refreshments, and live music by Sunnyside Swing at this free event. There will also be an Artist Talk on Saturday, March 25th, 2 – 4 pm. Exhibition Chair, Roberta Millman-Ide, is among the impressive artists whose work will be exhibited. She received her BFA in Advertising Design from California State University and worked as an Art Director for two well-known advertising agencies before moving to the east coast where she started her own design company. 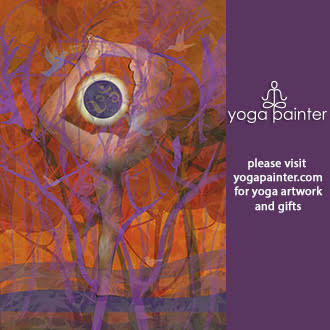 Since 2006, Roberta’s primary focus has been on creating and exhibiting her artwork. She is pleased to announce that Nicole Hickey, Manager of Artist Services at the Cultural Council of Palm Beach County, will be the juror for the exhibit. In addition to the Juried art, which will be on view through March 26, 2017, a section of the gallery will be exhibiting works by three students in the Dreyfoos School of the Arts who were the recipients of NAWA Florida Chapter Art Scholarships. NAWA artist members raised the scholarship funds by creating works of art on 6” x 6” canvases, which they sold for $50 each. The organization is proud to make this investment in the lives of young female artists. N.A.W.A. is the oldest professional women’s fine arts group in the United States, and The Florida Chapter of N.A.W.A. was the first regional chapter in the country. It was founded in 1995 by Liana Moonie, recently deceased resident of Palm Beach, a past president of the national organization and Madeline Weiss, who was the first president of the Florida Chapter. All artists wishing to join the prestigious Florida Chapter must first be juried into the Association Headquarters in New York City. For more information about the N.A.W.A. Florida Chapter please go to: http://nawafl.org. The chapter is pleased that an online exhibit will be available to the public on March 4, 2017, the day after the opening reception. The Rickie Report shares a Call For Artist Townhomes with Studio Space In Lake Worth. Neighborhood Renaissance is accepting applications to purchase townhomes in Lake Worth’s new art-oriented West Village located at Lucerne Avenue and F Street across from the Lake Worth Arts Center. Applications will be reviewed in the order received so time is limited. Please share this with artists who live out of our area, as this is an opportunity that few cities offer! The Public is invited to Meet the current West Village Artists December 7th through December 23rd at a number of events. We share all the details here. Work/Create Ground floor studio with street access and bath room Live Light and bright open floor plans. Conserve Built to certified Green building standards. The Day of the Dead is a holiday in Latino culture that focuses on gatherings of family and friends to create altars or ofrendas to pray for and celebrate the spiritual journey of friends and family members who have died. The Armory Annex welcomes the public to experience the treasures and traditions of the Day of the Dead in the exhibition ¡Va!–a communal exhibition of altars created by families, artists, and organizations in Lake Worth. The Public Opening Reception on Saturday, November 5th, is in conjunction with the Day of the Dead Festival. This is a free, family-friendly cultural event which will highlight the different cultural aspects of the Day of the Dead holiday with music, dance performances, and ethnic cuisine. The Exhibit is available from November 5 – 25, 2016. The Rickie Report shares the details and a sneak peek. The Day of the Dead is a holiday in Latino culture that focuses on gatherings of family and friends to create altars or ofrendas to pray for and celebrate the spiritual journey of friends and family members who have died. The Armory Annex welcomes the public to experience the treasures and traditions of the Day of the Dead in the exhibition ¡Va!–a communal exhibition of altars created by families, artists, and organizations in Lake Worth. Opening reception is in conjunction with the Day of the Dead Festival. This is a free, family-friendly cultural event which will highlight the different cultural aspects of the Day of the Dead holiday with music, dance performances, and ethnic cuisine. Art works by 2015-2016 Armory Annex Studio Residents Patt Cavanagh, Susan Nash, Erica Howat, Sandra Kuba and Evan Sahlman are on exhibit at the Armory Lake Worth Annex. The show runs through May 20, 2016 and deserves a visit! These Artist Residents were selected through a rigorous process before their actual work began in October. The Rickie Report shares the details and some sneak peeks. The Annex Exhibit is Free and Open to the public Wednesdays through Saturdays. Patt Cavanagh works with Acrylic paint and at times with mixed media. The pieces to be exhibited and the Annex Studio Residents’ show is abstract and minimal work inspired by nature and music. Past exhibitions include Small Works at JF Gallery in West Palm Beach FL. 2014, Small Works/Big Art and Vermont Contemporary at Gallery-in-the-Field in Brandon, VT. She has participated in juried and invitational exhibitions in Vermont, New Jersey, Chicago, and San Francisco. Patt was a resident artist at Vermont Studio Center in 1986, 1988, 1991-1995, and 1998. She attended School of the Art Institute of Chicago, San Francisco Art Institute, and State University of New York. Patt is learning to play the piano, likes to write poetry, and has an avid interest in urban design. The mission of the Armory Art Center is to inspire the creation and experience of art. The Armory’s vision is to be the leading visual arts education and exhibition center of the Palm Beaches. Housed in an historic art deco building, the Armory provides art classes for students of all ages, exhibitions, art salons, lectures, and special events. Nearly 100 courses held in 12 state-of-the-art studios are offered including ceramics, digital arts, drawing, glass fusing, jewelry, painting, printmaking, fibers, sculpture, and 20 exhibitions are hosted annually in four galleries. For more information, visit www.armoryart.org or call 561-832-1776 x33. The Armory Art Center’s Artists-in-Residence Artists’ Talks and Closing Reception take place on Friday, April 15, 2016 at the Armory Annex in Lake Worth, FL. The work exhibited was produced by 2015-2016 Artists-in-Residence during their eight-month tenure. Meet the artists: Isabel Gouveia, Izel Vargas, Nolan Baumgartner, Chad Steve and Tristyn Bustamante. Come and celebrate the closing of the 2015-2016 Armory Art Center Artists-in-Residence exhibition and learn about the processes and ideas behind each artist’s endeavors. Liza Niles, Armory Art Center Director of Education and Exhibitions, said, “This is one of the best shows I have seen in South Florida. You don’t want to miss it!” The Rickie Report shares sneak peeks and details. Chad R. Steve was born and raised in Lake Mills, Wisconsin. He received his BFA from University of Wisconsin-Stout. In 2009 he moved to Hawaii and received his MFA from University of Hawaii at Manoa where he worked at the University as an adjunct professor and a lab technician. Tristyn Bustamante has spent much of her life in Arizona sculpting with clay. She holds a BFA from Northern Arizona University and an MFA from Arizona State University. Bustamante has attended residencies and workshops in places such as at the International Ceramics Studio in Hungary and Haystack Mountain School of Crafts in Maine. Isabel Gouveia has a background in painting, printmaking, and new media. She was born and raised in Brazil and currently lives in Lake Worth, FL. She graduated as an Industrial Designer from the Arts Foundation Armando Alvares Penteado in Sao Paulo, and has an MFA in Visual Arts from FAU. Nolan Baumgartner received his BFA from the University of Utah in 2001 and his MFA in ceramics from Cranbrook Art Academy in 2004. A Utah native, he is a practicing studio potter and shows in local and national exhibitions. Izel Vargas is a South Florida based mixed media artist originally from Alamo, Texas, in the Rio Grande Valley. Raised in the U.S./Mexico borderlands, Vargas cites his upbringing as playing a vital role in his approach to making art. As an educator, Vargas has taught art to all age groups and is an instructor at FAU in Boca Raton, FL. About The Armory Art Center: The mission of the Armory Art Center is to inspire the creation and experience of art. 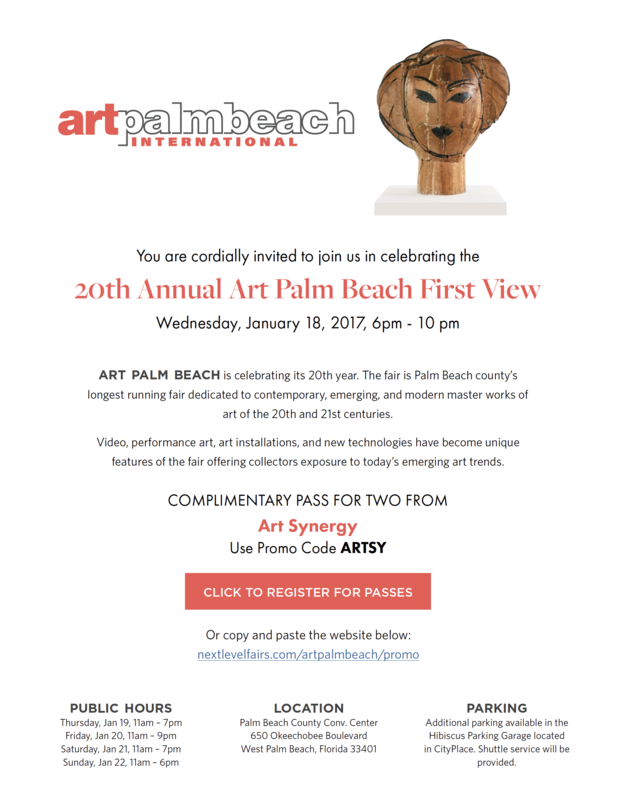 The Armory’s vision is to be the leading visual arts education and exhibition center of the Palm Beaches. Housed in an historic art deco building, the Armory provides art classes for students of all ages, exhibitions, art salons, lectures, and special events. Nearly 100 courses held in 12 state-of-the-art studios are offered including ceramics, digital arts, drawing, glass fusing, jewelry, painting, printmaking, fibers, sculpture, and 20 exhibitions are hosted annually in four galleries. For more information, visit www.armoryart.org or call 561-832-1776 x33.